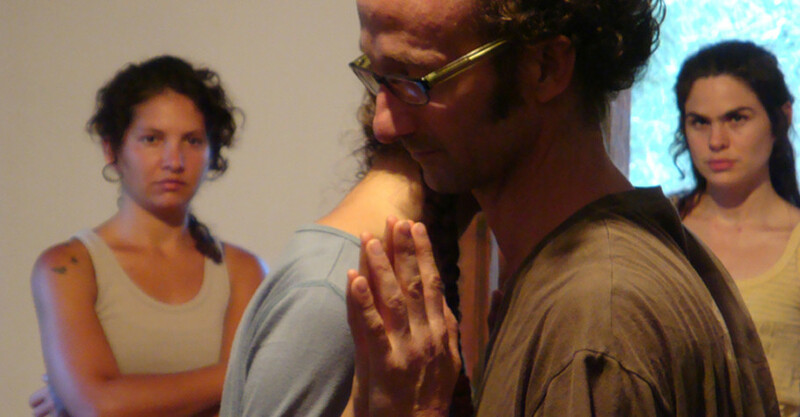 During the many years of involvement in the field of contemporary dance: movement training, research, choreographic work and performance, Contact Improvisation has always been a strong component for us, not only as physical training and artistic development for professional dancers, but also as a social dance form that we passionately keep practicing, investigating and sharing. Since we met in 2000 we collaborate and develop our common understanding of: What is CI for us? How do we understand the dance? How can we transmit the information of our perspectives of CI to others? Continuously exploring, investigating and sharing our knowledge became the main focus of our working lives. We teach regular classes were we live, we travel the world to teach CI workshops, we develop projects based on Improvisation, we get invited to offer lectures about CI in different Institutes as well as performing CI mainly inside CI Festivals or other CI events. We organize a Festival, jams, labs and research projects about CI. 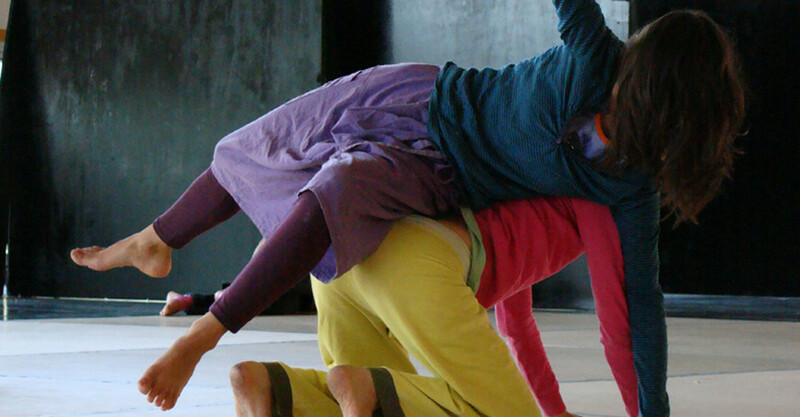 What is Contact Improvisation (CI)? CI is an improvised dance form that has been intentionally undefined to keep the process of its development open. Nevertheless we share with you our own perspectives of it, being aware that they are already selective and tell something about our background, our personal understanding and focus. It is the nature of it to be individual and incomplete. CI has been developed as an open improvised art form for the stage, it is used as a research tool to find material or structures for improvised and choreographed pieces and parallel it has developed as well as a social dance form shared all over the globe. Contact Improvisation is for me a frame for observation and action that proposes specific parameters in order to study, in detail, how bodies that are in a continuous ongoing direct physical communication with each other are dealing, negotiating, adjusting and surviving unplanned and unexpected movement situations. 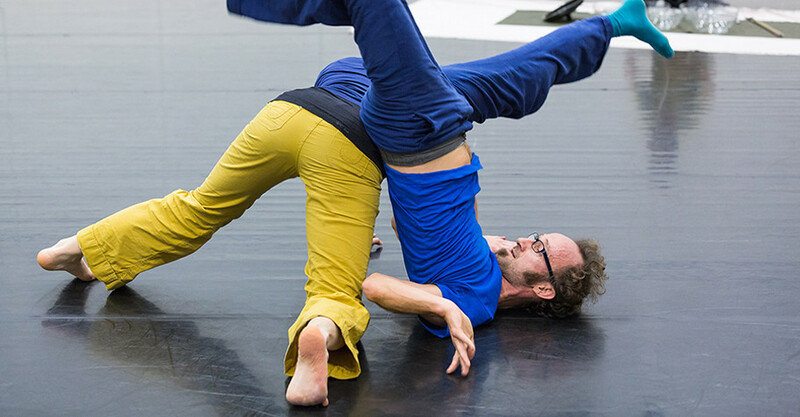 The sensations created through a physical dialogue between two bodies and their relationship to weight, gravity and other physical forces, are the source of an emerging dance. CI brings into play the abilities the bodies have, to survive safely an unknown situation whilst keeping the communication. 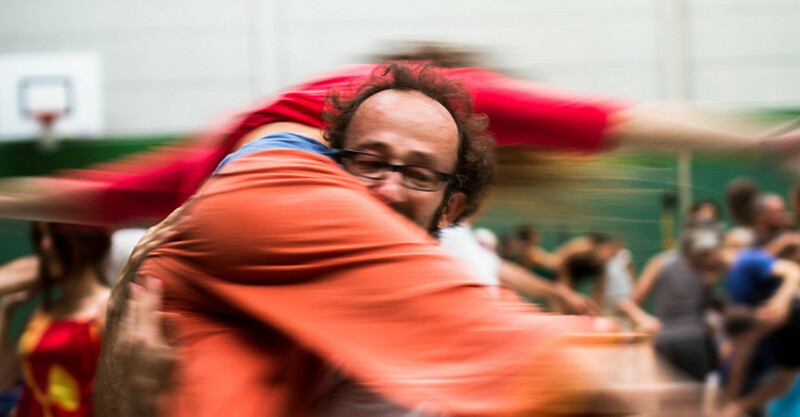 Having its focus on the democratization of bodies, Contact Improvisation offers sensations as the main lens to open a way to access the body’s contents, surface and whole volume, presenting a new spherical dimension of the use of space. It also provides an access to a new understanding of dance aesthetics through its focus on watching and experiencing the body’s reflexes at work. The CI practice trains the listening of functional, sensorial and perceptual eco- systems. It develops the body’s consciousness, presence and mobility through the dynamic creative process of the dance. It enriches and reinforces self-learning, co-learning, self-trusting and cooperation.